I want to write for A Girl in LA, how do I get in contact? We are currently looking for bloggers and marketing interns, you can read the job descriptions here. 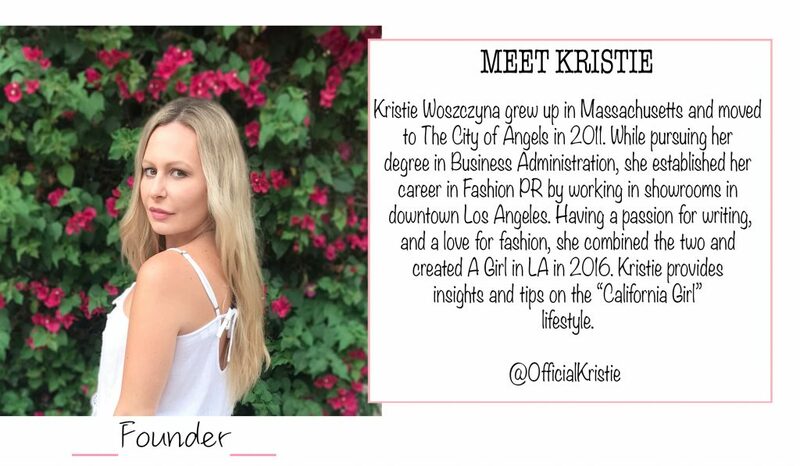 Send your resume and cover letter to kristie@a-girl-in-la.com. (RE: Blogging internship or Marketing internship). I work for a brand and would like to collaborate, how do I get in touch? If your company or brand would like to work directly with A Girl in LA please send an email to discuss details and fees. We do ask that you send the product that we will be promoting. I represent a company and I’m wondering if you allow sponsored content? No, sorry! All of our content is written by myself or my bloggers. If you’re interested in a collaboration and our other services, please send me an email and I’ll forward my pricing. I want to submit a guest post or I don’t live in the Los Angeles area, can I still write for A Girl in LA? We get a lot of emails inquiring about guest posting and from bloggers who live out of state. 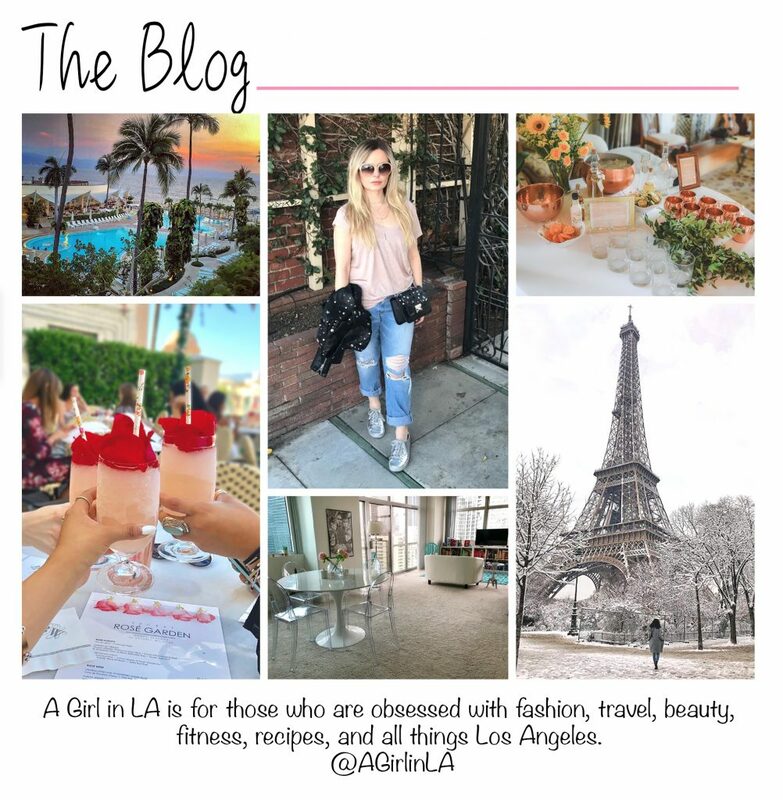 At this time we’re only working with bloggers who can contribute multiple posts per month and live in Los Angeles. What type of camera do you use? iPhone 7 or Cannon. Can I use A Girl in LA's photographs? Sure, just please link A Girl in LA to your post. How should I go about pursuing a career in fashion? Get involved in everything! No opportunity is too small. Network, intern, check out sites like Fashion Jobs, Extra Secretary, Internships.com, California Apparel News, Linkedin, and Barefoot Student to see what companies are hiring. A lot of people think you need to have gone to school for fashion but that's not true. Having a degree in Business or PR will help a lot. There are a lot of different fields in the fashion industry it's not all just designing. Make sure you have a kickass cover letter and resume that lists all your accomplishments from small to big. 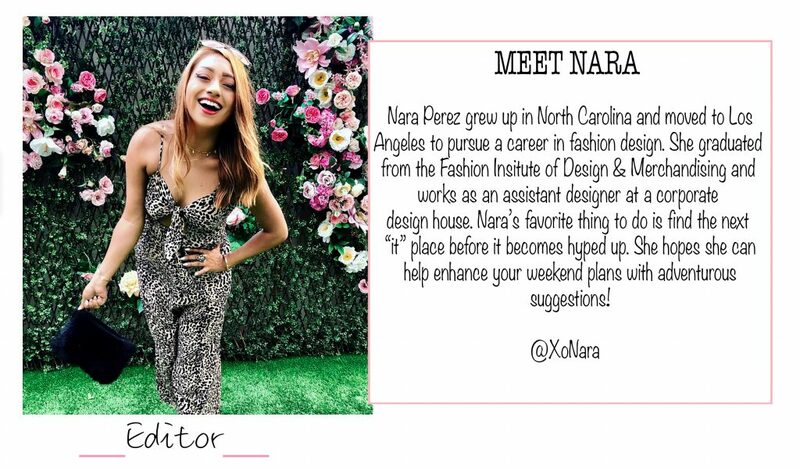 You can also read Nara's article on how she got started with a career in fashion design. What tips do you have for starting a blog? Write often. Write interesting content other blogs aren't covering. Use social media to promote your blog. Where do you host your platform? I started with WordPress. com but then I switched to WordPress.org and I host my site on Siteground. You can read about my transition to switching to a self-hosted site here. How do you create your graphics? Photoshop, Lightroom, and Illustrator. How do you choose what products you blog about? We blog about products that we use and that work for us, or products we find and think others will love. Do you use affiliate marketing? At times we do, but it doesn’t affect how we choose the products we write about. We also work directly with brands and when we do we include a disclaimer at the end of the post so our readers will know. Of course, what we write is based solely on our own opinions, the company doesn’t tell us what to say. Legal disclaimer: A Girl in LA doesn’t take credit for images that aren’t are own. Some images on this site are copyright to their respectful owner. If an image appears on this site that belongs to you and you’d like it removed, please email kristie@a-girl-in-la.com with the link to the image and it will be removed immediately. View our Contest and Giveaway Rules. Facebook | Instagram | Twitter | Pinterest | For any business inquiries or suggestions email kristie@a-girl-in-la.com.